Available to a lucky few at San Diego Comic-Con, these two concept art posters have been released by Marvel. 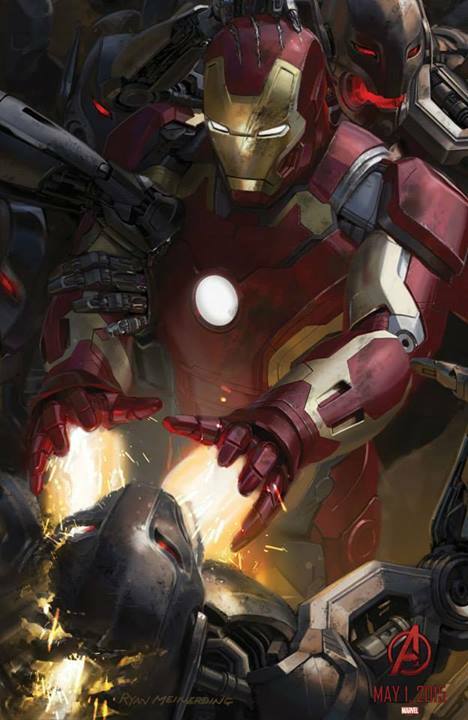 Featuring Robert Downey Jr’s Iron-Man and Elizabeth Olsen’s Scarlett Witch doing what we expect to see a lot of in the movie, blasting Ultron’s mini-me minions to pieces! 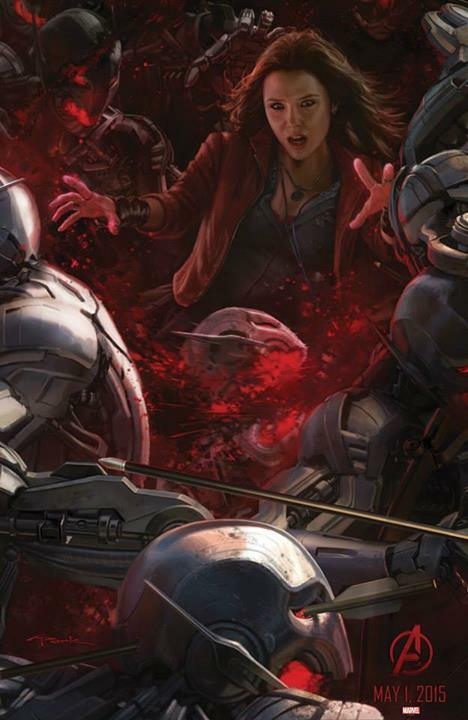 Also on Scarlett Witch’s poster, there’s also a little cameo by one of Hawkeye’s arrows right through the eye of the minions! Safe to say that’ll leave a mark! It doesn’t take a genius to figure out that these two posters are part of a bigger image which will certainly be an amazing sight to see if Marvel releases the whole thing! With San Diego Comic-Con happening this weekend, hopefully we’ll get to see that full image as well as some early footage from the movie itself ahead of it’s release on May 1st, 2015.